Is Queen’s Park for sale? In 2013, Bruce Power held a $100,000 fundraiser for the Liberal Party. In 2015, Bruce Power was awarded a $13 billion contract to rebuild the Bruce nuclear station. The Beer Store has been a major donor to all three parties at Queen’s Park for years. In 2015, we learned about a sweetheart deal where, for over a decade, the Liberals protected a Beer Store quasi-monopoly, unchallenged by the PCs or NDP. This coming Thursday, a lobby group has organized a $6000 a plate dinner with the Premier and the Minister of Energy. The target invitee? Energy industry insiders, who have been promised special face time with the Premier and the Minister. Are Liberal decisions based on party fundraising? It sure doesn’t look good. The Premier has defended her party’s corporate fundraisers, saying them’s the rules. But she also says she’s open to a conversation about those rules. 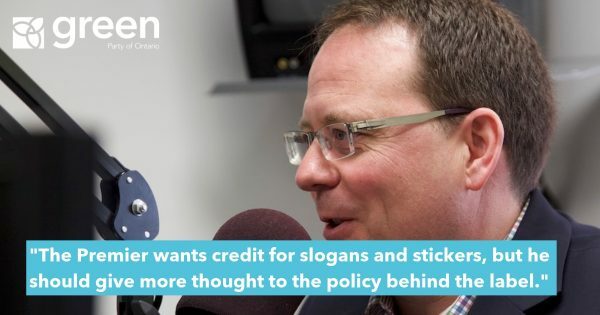 So Premier, let’s have that conversation. Please take a moment to send a message to the Premier. 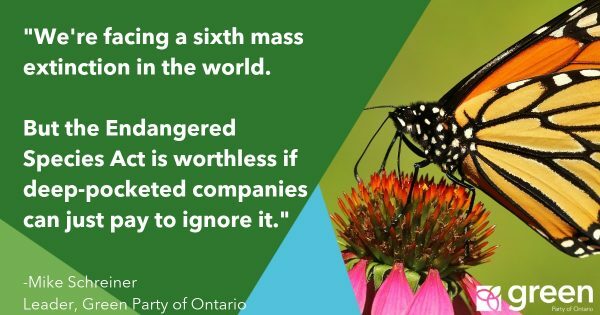 The Ontario government should not be for sale. It’s time to ban corporate and union donations to political parties today. P.S. Will corporate donations determine who gets a free ride under the Liberals’ new cap-and-trade legislation? We don’t know, but there’s one easy way to make sure the climate is put ahead of corporate interests: ban corporate and union donations to political parties.